It has an aluminum body so one accident and it's totaled. I like that it drives very easy and smooth. I'm a very short girl and finding a car that I'm able to reach the pedals easily is a challenge. This car I'm able to adjust the seat perfectly to my liking. As my dad says, it's a luxury family sports car. My only complaint is that the body is aluminum and if an accident happens, the car would be totaled. The most important thing is how good on gas it is and the speed of it. I like the speed. I do not like the structure / model / make of it. It is a nice car and easy on gas. I do not like how it is very hard to switch gears and signal. I love my Audi!! Very classy looking car! Audi is one of the safest vehicles on the road. I love how it handles even in bad weather. It is a true luxury car. 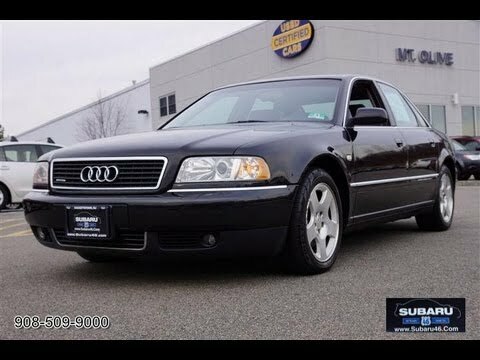 2000 Audi A8. In depth tour, Test Drive.